The Israelite (children of Jacob/Israel) and Abraham were from the Land of Punt. The ancient Egyptians referred to Punt as Ta netjer, the “Land of the God”. The Land of Punt an ancient kingdom, was also called Pwenet or Pwene by the ancient Egyptians. A trading partner of Kemet “ancient Egypt”, it was known for producing and exporting gold, aromatic resins, blackwood, ebony, ivory, and wild animals. The region is known from ancient Egyptian records of trade expeditions to it. Gold from Punt is recorded as having been in Egypt as early as the time of Pharaoh Khufu of the Fourth Dynasty. In the reign of Mentuhotep III (11th dynasty, ca. 2000 BC), they organized more voyages to Punt. Trading missions of the 12th dynasty pharaohs Senusret I, Amenemhat II and Amenemhat IV had also successfully navigated their way to and from the mysterious land of Punt. Egyptian document that detailed events that occurred in the reign of the early 20th dynasty king Ramesses III (Reign: 1186–1155 BC), includes an explicit description of an Egyptian expedition’s return from Punt: [They arrived safely at the desert-country of Coptos: they moored in peace, carrying the goods they had brought. They [the goods] were loaded, in travelling overland, upon asses and upon men, being reloaded into vessels at the harbour of Coptos. They [the goods and the Puntites] were sent forward downstream, arriving in festivity, bringing tribute into the royal presence.]. It must be noticed they used asses and not camels. But the Jews (Yehudi) are not Israelite or from anywhere in the region, they were Turkic Mongolians. 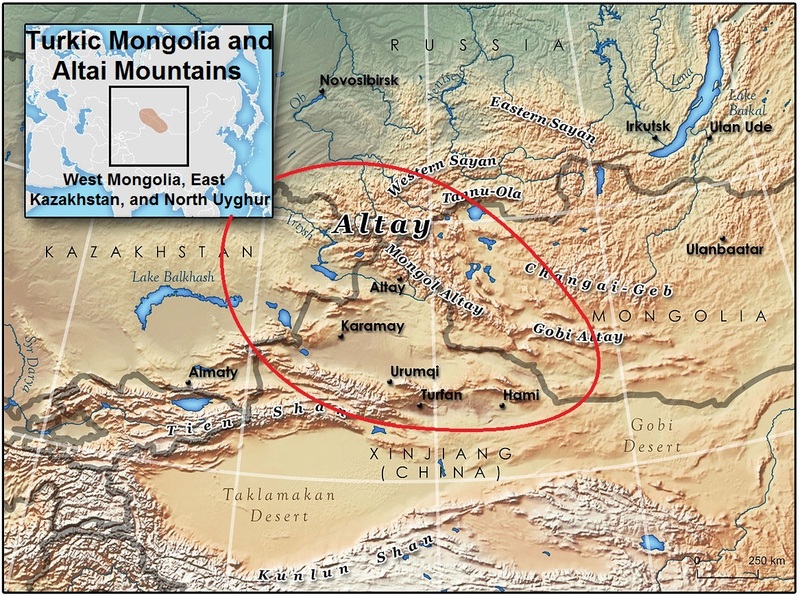 The Turkic Mongolians origin is in Altai Mountains and northern Tarim Basin of Western Mongolia, Eastern Kazakhstan, and Northern Uyghur. The original Israel, Israelite, and the Law of Moses were African 100% and had nothing with Arabia or Jews or Asia. While there is no archaeological evidence of a marriage between an Egyptian princess, the daughter of a Pharaoh, and a king of united Israel, claims of one are made at several places in the Hebrew Bible. In 1 Kings 3:1, it is narrated that to seal an alliance, the pharaoh of Egypt gave a daughter in marriage to Solomon. The same ruler later captured the city of Gezer and gave it to Solomon as well (1 Kings 9:16). No name is given for the pharaoh. Pharaohs in the Bible: 1- Historical pharaohs: Taharqa, Necho and Apries/Hophra; 2- Conjectural pharaohs: Shishak and So; 3- Unidentified pharaohs (1- Pharaohs in the Book of Genesis; 2- Pharaohs in the Book of Exodus; 3- Pharaohs in the Books of Kings). During Joseph position as vizier the real country suffered 7 years of famine. Egypt’s records do not indicate that at all, despite their accurate system. Nobody, especially Abraham, could cross only Sinai on a donkey or on foot, because camels were not there in their time. The country of Pharaoh is the country of many rivers, and Ethiopia has 115 rivers and is called the African water tower because it combines the highlands with many rivers; while the current state of Egypt is historically poor in water. Where is the real Mount of Moses? For centuries, scholars, explorers and pilgrims have sought the real location of the mountain of God from the biblical story of Moses and the Exodus. Today, most people are unaware that little or no evidence has surfaced that supports the traditional site called “Mount Sinai” in the south central Sinai Peninsula. In fact, it seems the only reason that the traditional site is designated “Mount Sinai” is that Helena, mother of Constantine I, decreed it as such in the early 300s AD. Several other proposed sites for the real Mount of Moses have been suggested over the years, but only the Judaeo-Christian is supported. 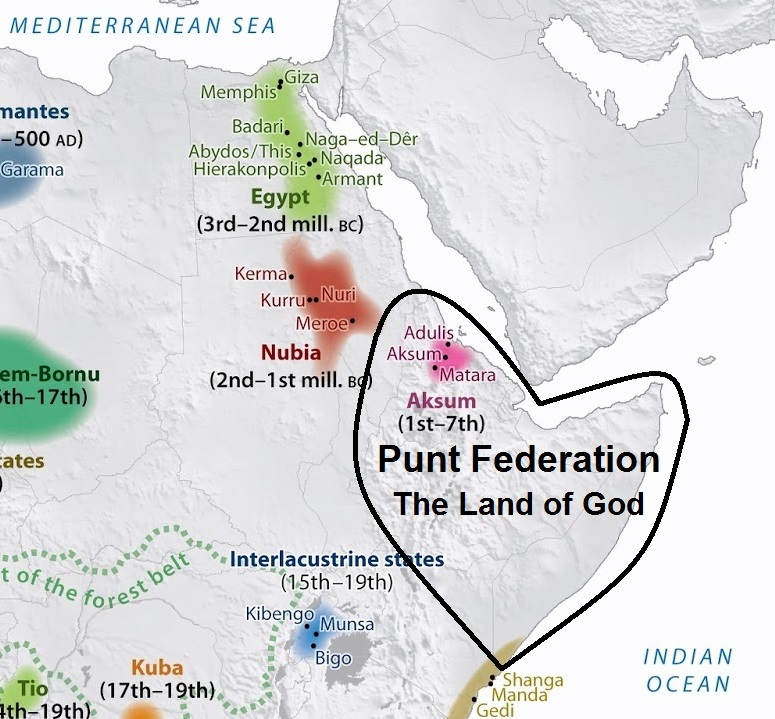 Certainly all the events and characters mentioned in the Old Testament of the Bible were in and from Punt Land. The Mountain of Moses, surely, is in Gondar, Ethiopia; and not at all in Sinai of Egypt. 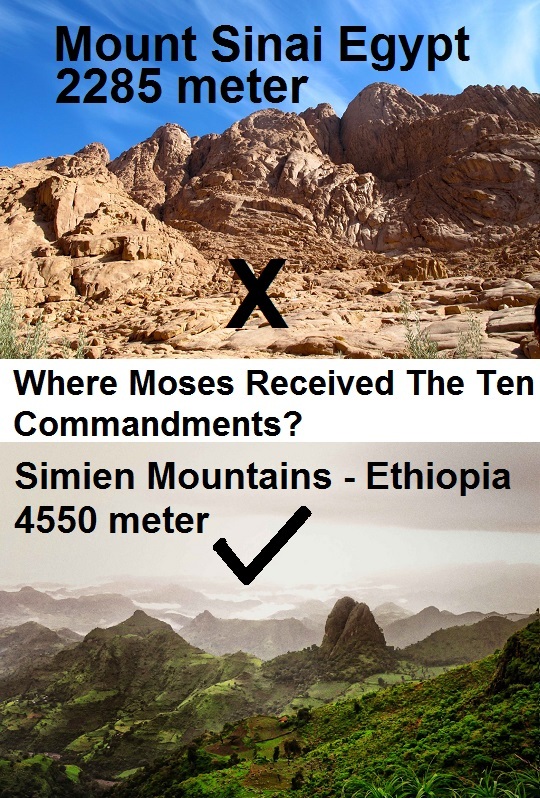 The Ten Commandments and the Torah were given to Moses on the Semien Mountains of Gondar, Ethiopia. There are strong reasons for my “Punt Land Hypothesis” for interpreting the history of the Bible in a totally new way. The ancient use of camels could be the easiest and most convincing starting point. This would be a total paradigm shift confining the Israelites and the Law of Moses to Africa; and the Jews and their Talmud to western Asia. Facts about the presence and domestication of single-humped Camel (dromedary) would change human history and religions totally. The repeated mention of camels in the OT was not a mistake. It implies that the whole stories, places and all characters were never in Arabia, Assyria, Aram or Kemet. If this new assumption is proven then King Solomon and the Temple and Jerusalem were somewhere in Punt Land and nothing was outside Africa, except the forgeries of Turkic Mongolian Persians and their inventions. The Israelite were from arid south Punt Land and they never went to Kemt (ancient Egypt). Only the Turkic Mongolians in Persia took their stories and twisted them to invent the Jews in 530 BC in Aramaic lands. Sure Yeshua was real, but he could be unrelated to the Israelites who were using camels since Abraham. The Land of Punt was always in all traditions the land of faith and modesty. Surely, Jesus will return and come there, so let the faithful know and be prepared because there will be a war from Gog of Magog (the Turkic Mongolian groups), and Jesus and the faithful will win. That phrase is not comprehensible. What did you mean ? I mean traveling across the desert Sinai on a donkey by Abraham, and later by the Israelite, is impossible. Asses couldn’t survive in such desert. But I mean to point to his alleged visits to other regions too starting from Ur. THE BIBLICAL WORD FOR CAMEL IS ALSO FOR THE ASIATIC PACK ELEPHANT. ALSO, A IEUDOMITE (IEUD/YID/JEW) IS NOT AN ISRAELITE. ISRAEL MARCHED FROM THE ASSYRIAN FRONTIER TO EUROPE. ISRAEL HAD TO REMAIN UNMOGRELIZED. NO MAMZER SHALL ENTER INTO THE CONGREGATION. Many genuine African Israelites joined the Turkic Mongolian Judaism as willing partners, so the Hebrews also contains African Israelite as junior partners. The Israelites and Turkic Mongolians worked together since the Hyksos period (1630-1523 BC) attacking Kemt from the north in the Delta by Turkic Mongolians and from the south in Kerma by Israelites. Sabaeans in Yemen, D’mt, and Kush in Africa were joint ventures between Turkic Mongolians and the Israelites. Until that time there was no Jews or Judaism. Following their successful cooperation many African Israelite leaders were invited to the newly established Turkic Mongolian colony of Neo-Babylonia to work out the grand project of inventing Jews, Judaism, and Aramaic colony called Israel. My Punt Lands Hypothesis states that the Jews are not at all Israelite. Because the Jews are of Turkic Mongolian origin, just like: Hyksos, Mittani, Persians, Bedouin ʾAʿrāb, Sabaeans, Romans, Turks, Gypsies, Moors, Khazar, and others in Eastern Europe and the Eurasian Steppe. While the Israelite were exclusive Ge’ez-speaking Africans from the Lands of Punt. The hypothesis also emphasizes that the stories of Creation, Deluge, Joseph, Exodus, Solomon, and all other biblical characters were in the Lands of Punt; and the Creation and Deluge were of local, and not global, nature. After receiving the Torah in Ge’ez on the Semien Mountains , Moses led the Israelite to their promised land in the Afar Triangle (the Danakil Depression) where they established confederation Israel then a united kingdom. King Solomon ruled Israel and built Beit HaMikdash (The Temple) where he kept the Arc of the Covenant. Upon his death in 926 BC, the tribe of Judah started collusion with the Sabaeans in Yemen and Turkic Mongolians in the Levant in the Middle Assyrian Empire (1392 BC–934 BC). Jews, Judaism, Hebrew language, and rabbinic Hebrew Torah were invented during 580-530 BC by a collusion between Judah tribe of Africa Israelite and Turkic Mongolian colonizers of Neo-Babylonia and Turkic Mongolian Persians. Jesus was of African Puntite origin and he was sent by the God of Ge’ez Israelite to ring back home the lost sheep of the House of Israel from the colonized Aramaic lands.